Every brand needs core values. The good news is, your brand already has values. Each member of your team is bringing their values to the work that they do every day. Companies benefit from clearly defined values because it provides a guideline for the decisions you make and how your business should operate. So take some time to sit down and really think about which values are the essence of what your company believes. Before you take a core values assessment like Dave Logan’s Mountains and Valleys, try to figure out your personal values and be honest with yourself. Why did you create your company? As an individual, what difference do you want to make? When people think of your business, what do you want them to associate with you? Knowing and understanding your core values involves expressing them, and also testing the values and your dedication to them through everyday decision-making. Be prepared to make sacrifices. Be true to yourself and your brand – your customers care about your values and want to know you keep your word. They want to support businesses that care about what matters to them. Get the core values of any key people in your operation. Ask your managers to list four to five values they have, and explain why they’re important. Choose the values that seem most important to your team, and the goals you want to achieve with your business. Pick about four from the list that really stand out to you. Test your commitment to your values. Would you be willing to fire someone who doesn’t share your values? Would you pass up a candidate with a good resume because he isn’t the right fit for your business? Hiring based on values and holding team members to those values ensures that your core values become intertwined with the fabric of your company. They become a part of you and what people associate with your business. Share your values with team members and ask for feedback. 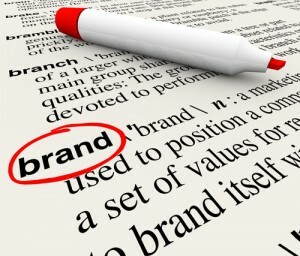 Integrate values into every aspect of your company, including branding. Choose values that make sense for your company. What values are important in the industry you’re in? Each industry has its own needs, and choosing core values relevant to your company is a must. If safety concerns are a part of the services your business provides, make sure that one of your highest priorities is job safety. Companies like Ben & Jerry’s value environmental sustainability, and openly support issues like mandatory GMO labeling and clean energy. In fact, Ben and Jerry’s is so dedicated to reducing its carbon footprint and greenhouse gas emissions that its goal is to have all of their U.S. sites running off 100 percent clean energy by 2020. This actionable dedication to its beliefs is one of the things that customers love about Ben & Jerry’s. Write your values down in memorable phrases, but try to avoid generic words. You want something that is recognizable and instantly identifies your company – think Men’s Warehouse with “You’re gonna love the way you look – I guarantee.” This company has suit consultants to greet customers in the store and assist them through every step of the process, making sure customers are satisfied with their choices before completing the sale. This actively makes values a part of everyday business. Choosing your company values can help unify your team. If your team shares your values, they believe in your work. Values matter to individuals, they’re important to the members of your team and important to your customers. Values set the expectation for standards and helps your team work more efficiently towards their goals. Your core values are not something that have to be defined overnight. Zappos is probably the most often mentioned company when it comes to discussing businesses with well-known and well-integrated values, and it didn’t set any formal values until its sixth or seventh year operating. Having a list of good core values isn’t enough. To make your organization thrive, you need to take the time to define your values, implement them into every part of your company and lead by example.